Join us to learn how to make an autonomous robot. 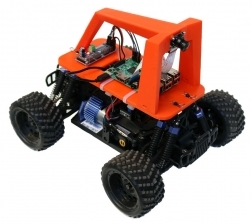 During this webinar we will walk you through how to use the Raspberry Pi with the Donkey Car open source Python library to build a completely autonomous rover. The Donkey Car is a DIY self driving platform for small scale cars, based on Raspberry Pi. In this webinar you will learn how to get started with the Raspberry Pi and the Donkey Car libraries. Let your imagination run wild, and turn the Donkey Car into a completely autonomous rover ready to conquer the world's greatest challenges! Arm has launched the Autonomous Robot Challenge in partnership with DIY Robocars. The Donkey Car is the ideal platform to enable developers to quickly start prototyping their first autonomous vehicle. Want to participate in the challenge? Check it it out here! The Autonomous Robot Challenge is a contest developed by the Arm Innovator Program and Hackster.io. 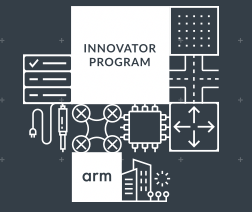 The Arm Innovator Program showcases key technical experts who evangelize Arm's story in security, AI, automotive, IoT and more. Copyright © 2018 Hackster, A Division of Avnet.